This is a relatively short post about the power of perseverance. One thing that I have discovered over years of training people is this: the ones who persevere and battle to keep going are the ones who reach their goals. February seems like a very appropriate month to be discussing perseverance when it comes to health and fitness. Mainly because a great many people who made a new year's resolution to get fit and healthy have most likely already given up on that goal. How many people do you know that said on and first of January that they are going to get fit this year? Maybe you were even one of them? The ones who are still going probably have not followed their training or nutrition plan to the letter. They may have even made some huge missteps along the way, but they are closer to their goals than the ones who have given up entirely already. You will make mistakes, it's OK. Everyone does. Nobody is perfect. But what differentiates those people who reach their goals from those who do not is who keeps getting back on track. 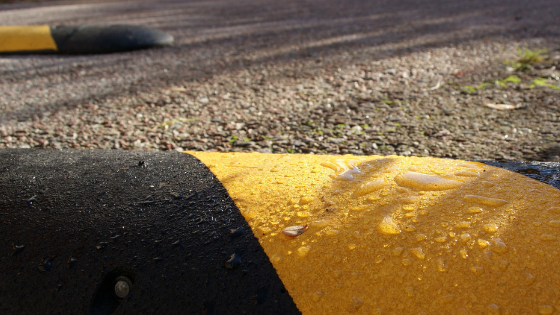 One of the things I say to many of my clients is to view setbacks as speedbumps not roadblocks. If you had a bad day with your nutrition and see that as a failure, then each time you have a bad day you are more likely to quit entirely than if you just say to yourself oh well, I will do better tomorrow. The key to getting to a destination is to not get sidetracked or discouraged along the way. Just keep on keeping on! I would love to hear your thoughts on this blog post, so please get in touch with me via my website and let me know what you think.